When you start out attacking LSAT logic games, basic linear games (sometimes also called ordering or sequencing games) is where you should start. Here, in a completely free, comprehensive lesson, we’ll cover some of the most effective basic techniques. The goal is to give yourself a powerful way to visualize these games so that you can do them really, really quickly without placing undue strain on the brain. If you are starting out learning logic games or you are struggling with linear games techniques, bookmark this page now. 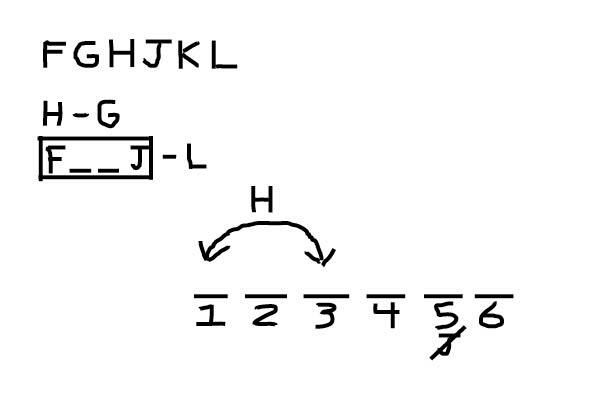 Learn this stuff and you’ll be well on your way to mastering basic linear (ordering) games. Those of you who know linear games cold might still wish to scan through and see if there is any diagramming technique that’s unfamiliar to you. First, a word on credentials, because who wants to listen to someone who doesn’t know what they are talking about, right? Forget being bashful– I’m pretty damn good at logic games. I’m a 173 scorer (-1 on LG, -4 RC, -1 on each LR section) and former professional LSAT tutor. So on the actual test I did get one wrong on LG. Now, I’m here to help you avoid that painful outcome. I’m just playing– a minus one on LG really isn’t that bad (You can still get a 180 with -1 LG). But, I really am here to help you get started mastering games. If you need a goal, strive to get it so you never get more than 1 or 2 wrong on every games section. While it might seem impossible now, that kind of consistency is, believe it or not, fairly achievable on the games section. Most 170+ scorers have the games section more or less locked down. All the information is right there on page, so it’s perhaps a little less tricky than the other sections, where they lay all kinds of traps. Also, Josh is here to help you too. He’s a 177 scorer who got none wrong on games. If you have any questions about linear games or anything else related to logic games, just ask in the comments and one of us will get back to you. Okay, now let’s look at some basic linear games techniques. I spent a lot of my time as a tutor working independently from any prep company. These are the techniques that I consider rock solid. Adopt anything in here and you won’t go astray. First, and this holds true for any logic game, DON’T EVEN THINK ABOUT DOING THE WHOLE THING IN YOUR HEAD. Every game that I’ve ever encountered (I’ve seen every single one) can be done faster if you setup a way to visualize the game. First, let’s show you how to make what’s called a main diagram. You always want to do this on every problem. The main diagram is the one you get down that contains just the rules from the main prompt (also called the stimulus). It’s your way of visualizing the game as whole. With a main diagram, you’ll have an easier time picturing where things go. You’ll also have easy reference to the main rules of the game. A delivery van is set to deliver soda to six grocery stores—F, G, H, J, K, and L—over the course of six days. Exactly one delivery is made each day and soda can’t be delivered to any store twice. Looking at this prompt, what we have here is two sets of variables– days and stores. With the days, you already know they go in order, 1 through 7. That’s typical of an ordering game. You are always going to know how one of the variable sets, days of the week, aisles in a store, floors of a building, etc. lines up. It’s the other set of variables that you have to place to figure out what order they’re in. Here, that’s our grocery stores. Now you can easily see the variables that you’ll be plugging into this base. Here it was an easy decision to just write F, G, H, etc., but what if the variable are named something more complicated? Say instead we are delivering to six towns: Francestown, Goffstown, Hampton Falls, Jaffrey, Keene, and Londonderry (all towns I used to play against in soccer). You would still do it exactly the same way. Don’t complicate things by writing “HF” for Hampton falls. Why? It’s not necessary, from here on out, you are just thinking about where “H” goes, not Hampton falls. Think abstractly. Logic games are all about abstraction. What does that mean? It means that half the time by the end of the game I don’t even remember what kind of variables I’m working with are anymore. Were they towns? Grocery stores? Alien invasions? It really doesn’t matter. You are just putting some game pieces (the free variables up on the left) into some spaces (the numbered slots that make up your base). Once you strip away the irrelevant particulars, all of these games are exactly the same. The sooner you start looking past the distracting details and start looking at these games as just minor variations on the same game, the sooner these games are going to get really, really easy. Now that we’ve got the base and the variables all written out, it’s time to add the rules. Now, the rules are where things get complicated. Every LSAT prep company has their own ideas about how to write out rules. I’m only going to be talking about the good ways of doing it. You can choose the style you like, just remember, you want to be consistent: once you’ve decided which way to represent a rule is best for you, stay consistent when using it. The delivery G comes after the delivery to H.
The delivery to L comes after the delivery to J.
J’s delivery comes exactly 3 days after the delivery to F.
Delivery to H is either on the first or third day. The first method, using the ‘greater than sign’ was the way I did it when I took the test, though I’m beginning to think I prefer the dash method. 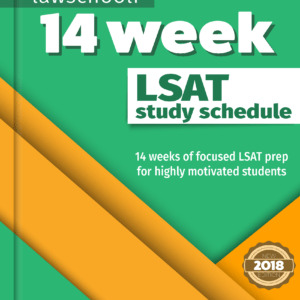 Which one of these techniques you prefer might influence which company’s books or class instruction you choose for your LSAT prep, so keep that in mind as you see them in action. It doesn’t matter here, but when the rules get really complicated it might make a difference to you which one you use. Scroll down to ‘Combining Rules’ section of this post to see what I mean. 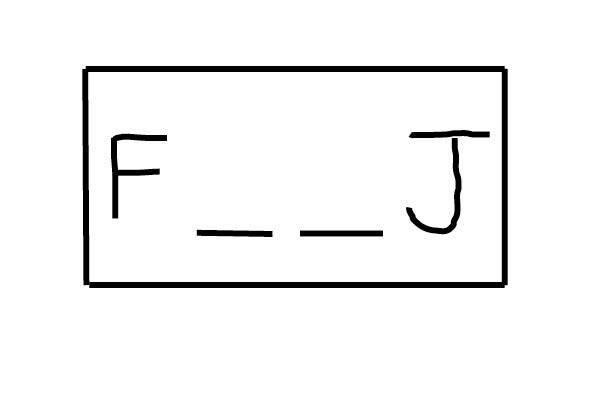 Write that and it shows you in a straight forward visual way F is always two spaces in front of J. You know how we said these variables are like games pieces that we place? Well, I like to think of this kind of block that way too. It’s a big game piece, a chunk that is going to have to go in there somewhere an push the other pieces around. That’s why we draw a box around it, so you know that it is a fixed entity. Think to yourself “I’m going to always have to drop this big block into my base somewhere.” Or think, “I’m a big crane and I’m going to stack this giant box here somewhere.” Or maybe, “I’m making a big lego chain. This is like one of the bigger lego pieces.” I don’t really care what you think, just visualize these big chunks getting in the way of the other variables some way so that it’s memorable to you. I’m always happy when I get one of those rules. They are pretty easy to work with and remember. Just drop that XY chunk in somewhere and you are good to go. Rule 2, X is always either immediately before or immediately after Y, is a little tougher. Now they can flip around. How do you represent that? There are a few good ways I know to choose from. 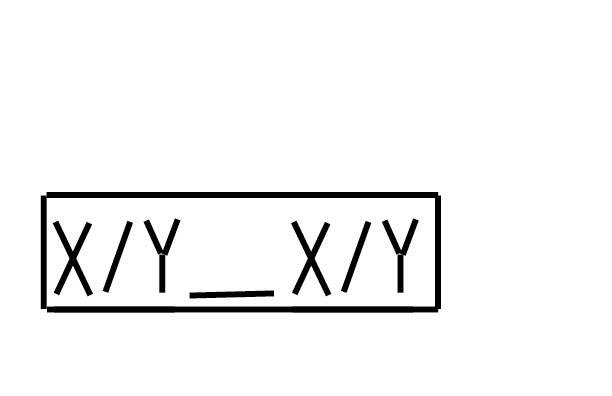 That shows that there is a space in between these two, and you don’t know for sure if X is first or Y is first. You can do this with one, two, even three spaces if you need to (though I can’t recall seeing a rule that called for more than two spaces in between). Alright, that cover some common block rules. Let’s get back to looking at our larger example. We have another kind of rule there that we haven’t seen yet. Mini-Lesson: Rules That Go Straight In Your Main Diagram. The last rule from our main example is: Delivery to H is either on the first or third day. Now you might be thinking, how the heck do I write that rule out? Well, you don’t. At least not on the side. This is part of why you have a big pretty diagram– Some rules are best drawn straight in to your main diagram. 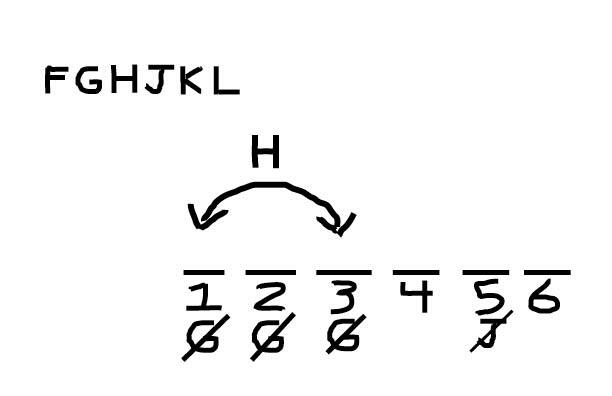 Lets take a look how this H rule looks in my main diagram. The arrows show you that H is going in one of these two spots each and every time. Rules that go in your diagram like this can be hard to remember because they are so damn specific. A couple problems into the game I’m usually thinking, “now where did H have to be again?” That is exactly why we put a GIANT UGLY ARROW in the middle of our main diagram! I want you to be completely unable to avoid staring this rule in the face anytime you look at your main diagram. Writing rules straight into your main diagram is a common LG strategy, and trust me, it’s gold. On other game types it can require a little creativity, but with basic linear games it’s generally pretty straight forward. Obviously, if you know exactly which spot a variable is going in, write it straight into your main diagram. Just write J under spot 5 and cross that bad boy out. Now you know that for the rest of this game, it can’t go there. A word of caution. These are easy rules to forget. When you attack these games you’ll be making a lot of little mini-diagrams right next to the question you are answering to try and work through the various scenarios. 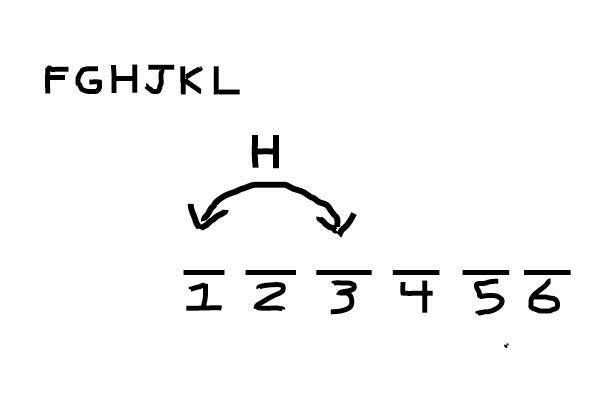 Here’s some very good advice: with tricky to remember rules like the H rule and the J rule written into this diagram, it’s often a good idea to quickly redraw them each time you start a new mini-diagram next to the specific question you are answering. It doesn’t really take any time, and it will save you from mistakes. Even if you don’t do it all the way through the game, it can really help you fix the rule in your mind if you do at least a few times. Compare that with the H rule where it’s only going in one of two spots. The bracket instead tells you that it can go anywhere inside there. To me, that’s a better reminder of where that G is going to be than using the cross-outs below. Consider using this technique instead too if it seems more natural to you. Now we get the tricky part. You always want to combine rules if you can do it neatly. Combined, they are easier to work with mentally. Think of as reducing the number on pieces you have to play with. Let’s take a look at this using our main example and you’ll see what I mean. This might strike some as more intuitive. You just draw dashes between any letters that have a relationship to each other. Just remember, no dash, then no rule. 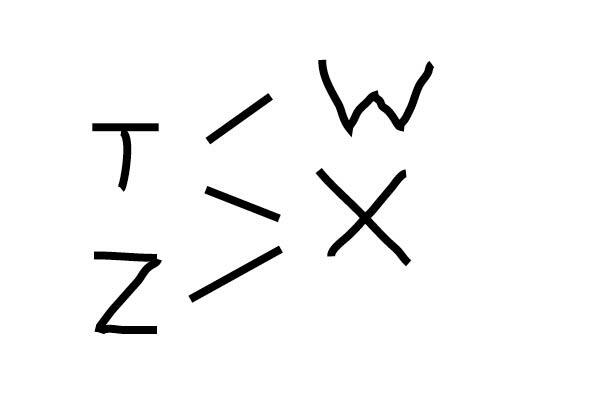 W and X for example can still be in either order relative to each other. When you are selecting a prep company to learn from this is a key difference in strategies. Look through their free materials and you can figure out which technique they go with. Our three favorites are Powerscore, Blueprint, and Testmasters. Powerscore uses something like the first approach, whereas Blueprint uses the dash method. … except here we know that this isn’t moving around. Always try to get these double options in place when you can. They make it really easy to figure out the order from there. Believe or not, just the techniques you learned here should be enough to tackle almost any basic linear game. We’ll have a post on more advanced aspects of making inferences and mini-diagramming (building example scenarios next to each question) very soon. We’ll also add some free explanation examples from real logic games so you can see this stuff in action. Check back on this very post because we’ll add these links at the bottom. If you saw something in here that you prefer to whatever strategy you were using, feel free to adopt it. Just remember to stay consistent with how you diagram a given rule type. Some prep companies try to convince you that you should stick with all of their strategies, however, there just isn’t any reason not to choose your preference among equally effective strategies. Everything I’ve shown you in here is a proven technique that will help you memorize the rules effectively and attack the game quickly. As always, Josh and I are here to answer your questions. If you need help picking a strategy or anything else related to logic games, just ask in the comments! We’ll get back to you quickly. Good luck with your prep and work hard! Thanks for putting this online. I first purchased the Kaplan course and went through it. Two years later, I purchased PowerScore and was about to start today but found your site instead; and it is very clear and easy to understand. 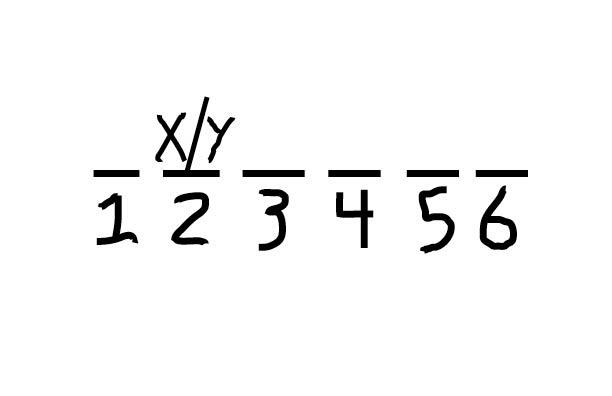 By the way, shouldn’t rule three be x/y_y/x? 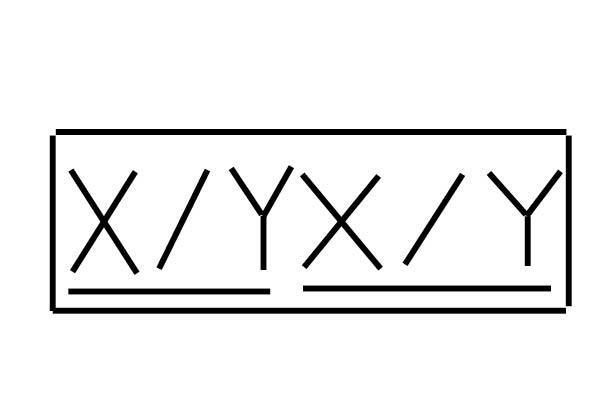 By the way, shouldn’t rule 3 be x/y_y/x? Have you found this to be an effective strategy? I took the LSAT for the first time in June and did alright (but not great) on the logic games section, and I never thought to make my diagrams mirror the real-life scenarios as much as the Powerscore book is suggesting. Is it worth changing up my diagramming strategy on this to see if it work better, or am I ok as I am? I purchased 2017 edition of the PowerScore books, and also the 3 month study guide. On task 1 it states to complete drill work-basic ordering 1 and 3. I do not see these in the powerscore lgb book? My study guide is 2016 edition, could this be the issue? The chapters do not seem to match up. We recommend going by Chapter titles, as we have many students in books ranging from 2014-2017. The 2016 schedules will be off by a chapter number. Also, be sure to click on the link on your PDF to be taken to the drills. 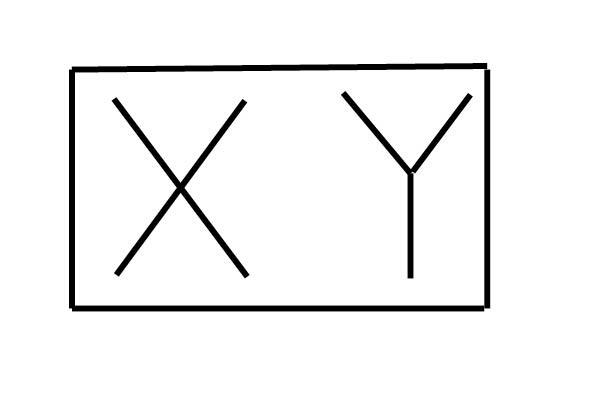 wouldn’t be “YX” because “X comes AFTER Y”?? My biggest problem in the whole wide world is that of Diagramming. 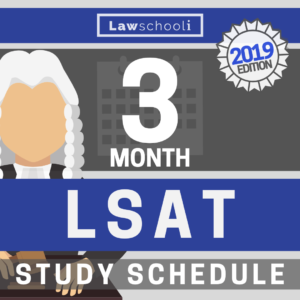 I was able to follow most of what you explained but still was baffled by the X comes before X illustration and comes before T.
However, I will trudge along and ready myself for the June LSAT as best I can. In all probability, I will do better on that test because I have at least gained a fundamental understanding of how basic diagramming can make figuring out answers to simple questions much easier. I am doing this on the cheap and do appreciate your providing free explanations for struggling candidates to examine, you are most charitable in this regard. Could you please tell me when a rule can be combined? I am a bit confused by some of your post, and from my perspective it seems as if there are errors. Can you clarify the following? However, in the final diagram you present you still have J crossed out under the 5th slot. This is not mentioned in the main prompt or rules. Should this actually be removed/ignored? Is this simply a typo? Simple “typos” of variables can be detrimental on test day . “X has to come before X” is impossible, should it be “Z has to come become X”? 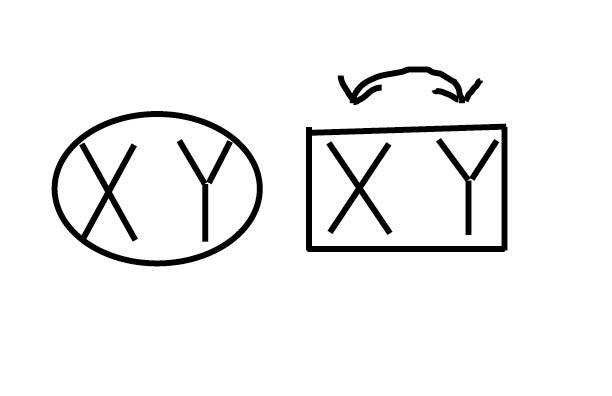 As well isn’t “Note that X can still be in front of or behind T” impossible, because “T comes before W and X”? 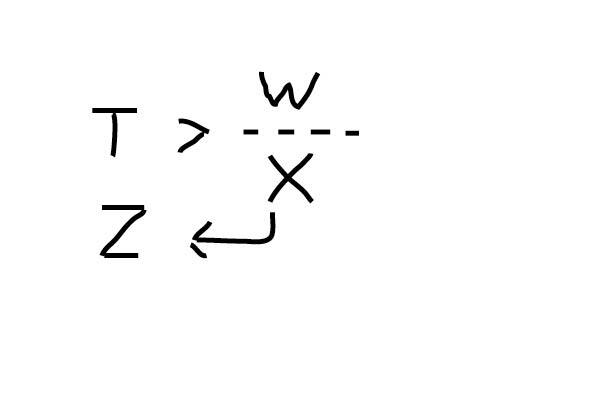 Should this not be “Note that Z can still be in front of or behind T”. As for J not being in slot 5, I think he meant to add that as an additional rule to the original set of rules, not as a question-specific rule. But that wasn’t really well clarified. I noticed all the other mistakes you pointed out too though. I think they are just typos/misjudgments. I’m well into my practice and therefore have basic, linear logic games down, but I don’t think this would be a good post for beginners to read unless the mistakes are fixed. 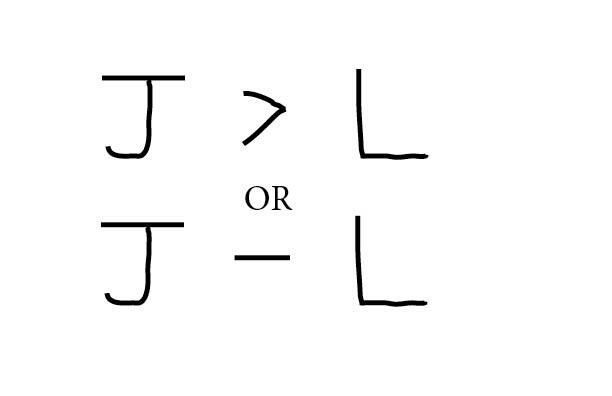 Why is j a not law? Why can’t j be on the 5th day? How do you notate the following rules efficiently? 1. If A is not in, then either B or C, but not both, are in. 2. If it is not the case that both B and C are in, then both D and E are in. For 1. Don’t obsess over it. Just anything that will help you remember. For rules like 2., I split that into two different main diagrams. Think of it as two different worlds. This page was helpful in showing me better ways to write my rules. However, I have a specific question on a specific practice question I am working on. I am just going to post it in the hopes that you can help me! Please help! I apologize for the lengthiness of this question, but your help is greatly appreciated! then have a row where you put in the stops, and another where you put in who gets off. If you don’t follow, me, reread the LGB chapter on advanced linear games and that should make sense. if J gets off at F or later, then G gets off at S or later. I know it’s hard to see that that is what that rule is saying. Don’t worry. The game you are looking at was notoriously hard. A lot of people struggled with that rule. 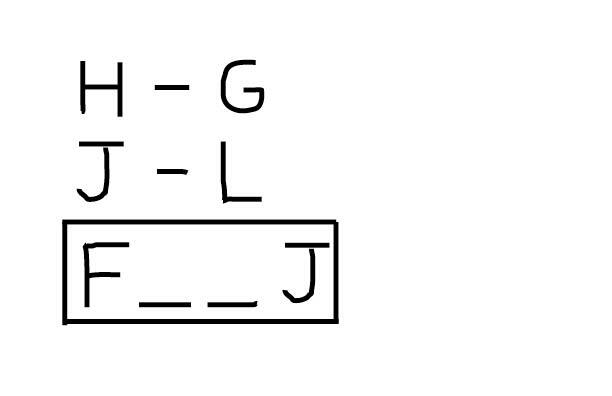 The question asks us what happens is we know that G got off before S. That means that J had to get off before F as well (that’s the contrapositive of the final rule). Though it’s a little hard to follow the chain, the key is to just calmly make the inferences that you can make and check at each stage if they answer the question. Whenever your stuck its good to see if you forgot to account for another rule. 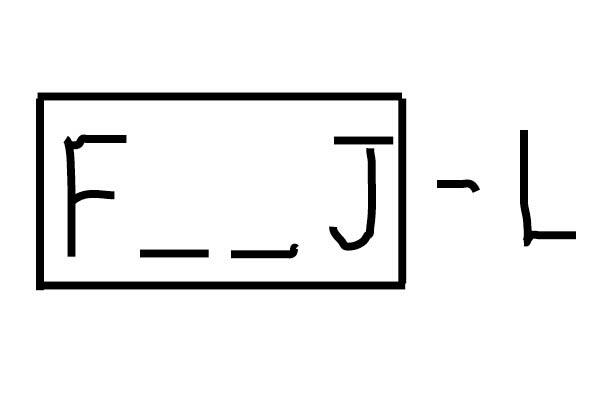 Here, that led us to the V > J rule that helped answer the question. Thank you so much for your help. I do have a problem with contrapositives and it can ruin 3-4 questions for me on a game. Do you have any tips as to when contrapositives apply? Can they only be true when the rule says “if, then; otherwise”? They cannot be true if the rule says ” if, then”, is that correct? 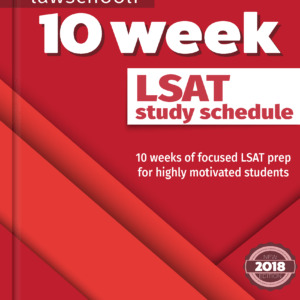 Read this: https://lawschooli.com/conditional-reasoning-for-the-lsat/ You need to get that stuff down. Make sure you understand that a contrapositive is just expressing a valid inference that you can make from a conditional statement. For example, take the statement: If A then B. The contrapositive is: If not B then not A. That’s just the same as saying: If A then B. Not B, therefore, Not A. Read that lesson, you’ll be on your way to getting it.